This certification exam aims to improve proper technique and knowledge and also provides useful practice. The two types of certification are: nail certification and gel nail certification. 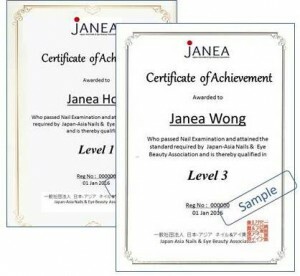 The nail certification is a three-level certification, with 1st Grade being the highest. The gel nail certification is comprised of two levels: Advanced and Beginner. The 2nd Grade and 3rd Grade nail exams are taken together.